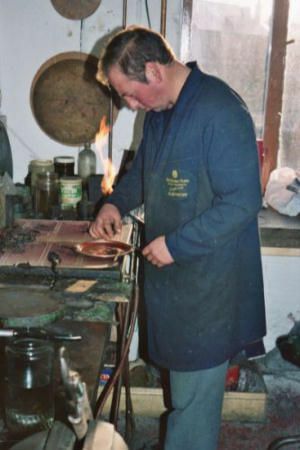 Silversmithing – this involves trimming and shaping the raw silver metal, hammering, bending, silver soldering and filing to produce the intricate shape of the finished product. 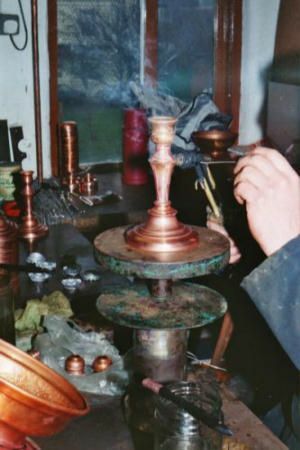 Coppersmithing – like silversmithing, this involves trimming and shaping the raw metal, hammering, bending, soldering and filing. 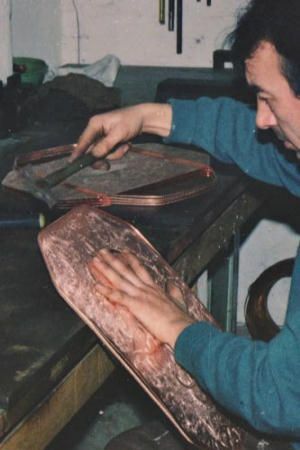 This is for copper based products which are very close reproductions of Old Sheffield Plate, the original 18th Century process of applying silver to copper. Like the sterling silver products, they are buffed and polished to a high sheen then silver plated before a final polish. 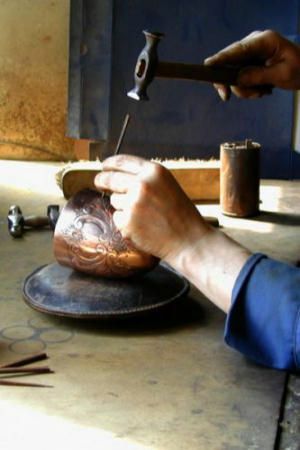 Buffing – this is the first stage of polishing using pumice as a fine abrasive to smooth the silver. If the buffing were not done, the final mirror finish would not be achievable by the polishers. 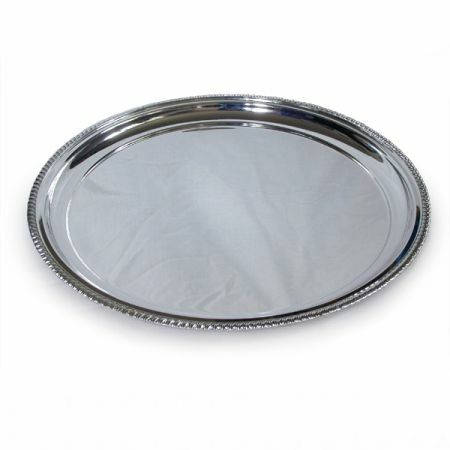 Silver Polishing – experience and dexterity are applied in achieving the final mirror finish. 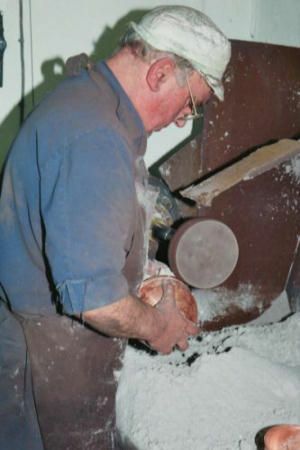 Spinning – the process of shaping holloware products like punchbowls and cups by forming them with special tools as they spin on a traditional spinning lathe. Hand Chasing – one of the rarest skills; very few people are qualified to do this. Hand chasing involves using specially made tools to form the intricate traditional patterning that you see on some of our products. 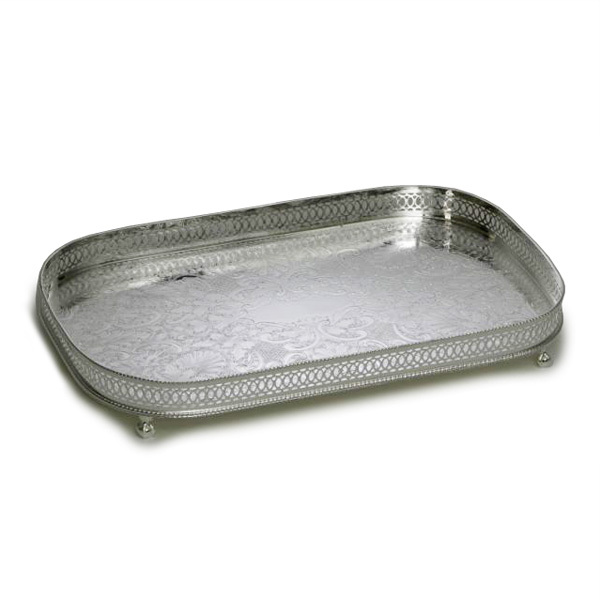 Silver Plating – using an ingenious electrolytic process invented be Elkington in the 19th Century, silver plate is applied to the whole surface of the article. 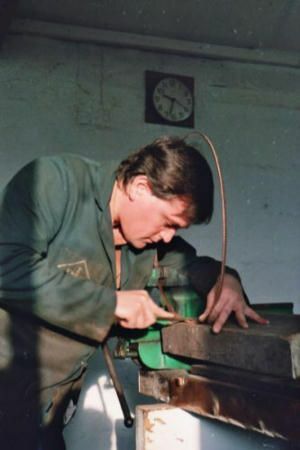 Due to the complex and specialised processes involves in producing silverware all our craftsmen have undertaken long apprenticeships in order to reach the exceptional skill levels of which we are all proud. It is said that in practising these skills you never finish learning.